Every year ticks infect thousands of animals and people with illnesses like Lyme disease. Disease transmission can occur in as little as three hours after a bite occurs. Therefore the sooner you remove the tick the less chance there is that your dog will get sick. Removing a tick from your dog may not be pleasant, but it’s important to do it quickly and correctly. It seems as though everyone has a favorite method for removing a tick. There are literally hundreds of suggested ways to remove them. This is the way that the medical industry says you should go about it. To safely remove a tick, all you really need is a pair of pointy tweezers and a good eye. Pointy tweezers are a must for ticks. You want pointy tips, not squared-off ones. Ticks can be very small. If you use regular tweezers, you might tear them. Pull the hair or fur back to expose the skin around the tick. Thoroughly clean the area around the tick bite with rubbing alcohol. (or soap). Get your tweezers right down on the skin so you can grab as close as possible to the tick’s head. Pull straight up slowly and firmly. Do not jerk or twist. Steady pressure straight up will do it. Clean the bite area again. If the bite area bleeds let it. It will help to clean the wound. If it continues to bleed call your veterinarian at once. Wash your hands, with rubbing alcohol or soap and water. Dispose of the tick properly. And that’s it. If part of the head breaks off when you pull the tick out, that’s OK. You can try to remove it with tweezers, but if you can’t, it’s no problem. As the skin heals it will force the head out to the surface. What To Do With the Extracted Tick? There are two options: Get it tested or get rid of it. It can help everyone in the area to get the tick tested. If there are outbreaks in your area you’ll know if it was carrying any diseases. To have it tested place it in a sealed container along with a blade of grass to keep it alive. Then, take it for testing. 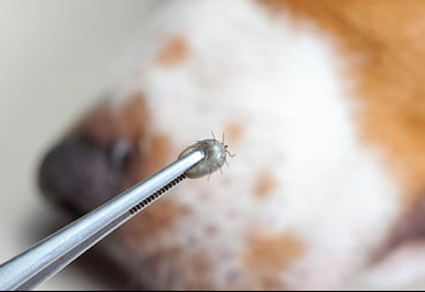 Some state agencies do tick testing, but if you’re not sure where to send the tick, ask your veterinarian or call your doctor. Whatever you do, avoid the temptation to crush it with your fingers. This is another way you can get disease from it. After some time, they came to a high stone wall made of fine marble. There was a tall arch with a golden gate that glowed in the sunlight. ‘This is Heaven, sir,’ the man answered. ‘Wow! Would you happen to have some water?’ the man asked. The man thought a second or two and then turned back toward the road and continued down the road with his dog. After another long walk, he came to a dirt road leading through a farm gate that looked as if it had never been closed. As he began down the dirt road he saw a man. He was leaning against a tree, reading a book. They went down the road a bit further were they found an old-fashioned hand pump with a bowl beside it. The traveler filled the water bowl and took a long drink. Then he refilled the bowl and gave it to the dog. When they were full, he and the dog walked back toward the man who was standing by the tree..
‘What do you call this place?’ the traveler asked. ‘This is Heaven,’ he answered. ‘Doesn’t it make you mad for them to use your name like that? ‘No, we’re just happy that they screen out the folks who would leave their best friends behind. My Perfect Valentine’s Day would start waking up next to my girl. We would lie there in bed and cuddle, enjoying each other’s company. After a while I would excuse myself and go down stairs and fix her, her favorite breakfast and serve it to her in bed. After breakfast we would hang out together. If the weather is good, we would go out in the back yard and enjoy the morning. After lunch, we would go for a long walk. As we walk through the neighborhood side-by-side, we both walk proudly because we know that we are meant for each other. We stop from time to time and say hello to neighbors, but it’s really all about being together and enjoying the moment. After our walk is over we return home and enjoy a little snack and a cold drink. For supper, I’d make something special that I know she loves. After doing the dishes I’d spend time giving her a nice back rub and some heavy petting. This always gets her excited and would lead to some “wrestling and rough-housing” on the floor and on the couch. This continues for 15 or 20 minutes until finally she is collapses on the floor, worn out from the “workout”. I look at my arms and legs and notice some new scratches and some bite marks, but that’s OK …. After all, she’s really a great dog! According to a Gallop Poll, 44 percent of all American households have a dog living in it. Estimates say that this equates to approximately 78 million dogs nationwide. 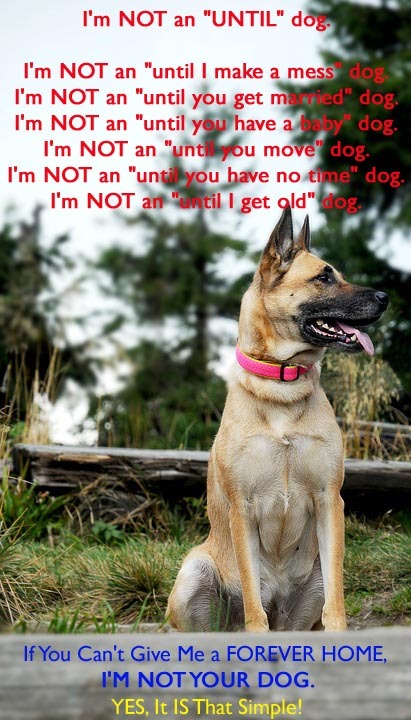 Most of us love our dogs and they are treated like a part of the family! We have many ways of showing them how much we love them. We give them food and water, and take them to the veterinarian on regular bases. We take them for walks, give them toys and we give them treats too. 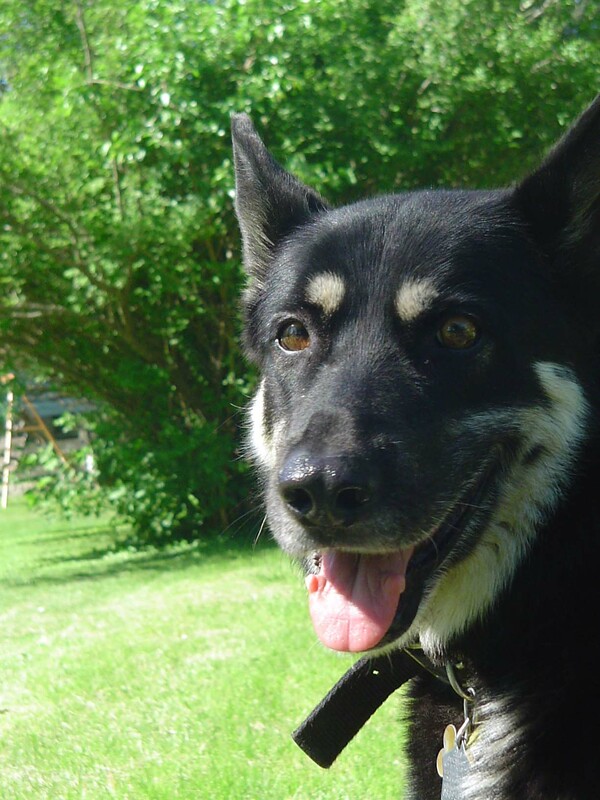 But how can we really know if our dogs are happy? Who can we know if they really love us? Most of us would like to think that they love us, but wouldn’t it be great to know it for sure? Our dogs can all be stubborn and strong-willed at times. We have all had to deal with dogs that don’t want to “come” when we call them. We have all had those times when they want to play when all we want to do is sit down and relax after a hard day. And how about those times that they try to pull us down the street instead of calmly walking beside us? Yep, it sometimes feels like a one-sided relationship. So how can you know for sure that your dog really loves you? Here is a short list of things that will tell you that they love you as much as you love them! A wagging tail isn’t always a sign of happiness. But it is generally considered to be a sign of affection and happiness when it is displayed toward the dog’s owner upon arrival home or when coming into a room. In conjunction with other body language (non-ridged stance and general excitement), you can safely assume that your dog is very happy to see you! Dogs will hang out with humans for a variety of reasons. The most obvious reason is that they quickly learn that humans are the main source of their food, water and shelter. But dogs are also pack animals. They not only feel more safety in numbers, they also enjoy being with their families. Hanging out with you and being in close approximation to you is another big clue that your dog loves you and that you make it feel safe and cared for. Yes, they might be “under foot” and be “in the way” once in a while, but just remember that they love the company and just want to be close to you. As mentioned above, dogs are pack animals. Pack animals sleep huddled together for several reasons. One reason is that it helps them to feel safe because it adds a layer of security. If one of the pack hears something it will alert the rest of the pack. It also provided a sense of companionship and dependence on the whole pack. Dogs know that the pack is much stronger together than any one dog is by it’s self. It also helps them with warmth. Dogs love to be warm. It is a large part of being comfortable in their surroundings. So the next time your dog wants to cuddle, it is a way for your dog to show you that it not only cares about you, it shows that you are someone that it feels safe around. It wants to be near you because it’s a natural way of showing you it feels comfortable and sees you as family. Every time I walk through my door my dog greets me. It’s always with a waging tail and she always has her favorite toy in tow. Most of the time I have my hands full, but I always take a few seconds to greet her and tell her I’m glad to see her. After I unload my hands I give her a quick pat on the head and I give her a treat. Then, even if it’s only for a moment, I take time to play with her. We have scheduled “play times” several times per day, but sometimes she gets playful when I’m working or busy doing something. This is natural. It’s a way of connecting with us. If you’ve ever watched a group of dogs playing together you’ll recognize they offer the same behavior to each other as they do to you. Playing and roughhousing is an essential activity and is a quick and effective way to build a bond between you and your dog. It is also a great way to keep your relationship strong! As with human relationships, the relationship you have with your dog MUST be based on trust and respect. Building a strong bond is the only way your dog will trust and respect you. 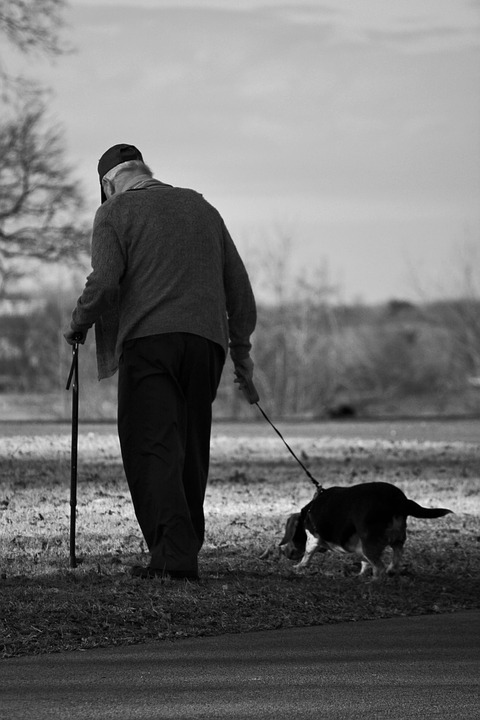 As one who has worked with dogs for over 45 years, it is very easy for me to see if a dog has trust and respect in their owner. Like a human relationship, trust comes only with time. The more time you spend with your dog, the faster the bond of trust will develop. Once trust is built, respect will come. When trust and respect are present your dog will do ANYTHING you ask without question because it knows that you will do the same for it. This is known as Unconditional Love! Yes, we as Christians need to put more emphasis on Christ (and less on “Material Stuff”) in our lives, especially during this time of year. If you are a Christian I am more than happy to wish you a Merry Christmas … and a Happy New Year too. But we also need to remember that our country is a “Melting Pot” of 100’s of cultures from all over the world. Some of these people do not believe the same things that we as Christians do. There are over 30 religious and seasonal festivals that are celebrated during November, December and January. The phrases “Season’s Greetings” and “Happy Holidays” first came to prominence over 60 years ago. And what we often forget is, that in an attempt to include people of ALL faiths, these greetings were designed to unite us during this festive season that we all share this time of year. 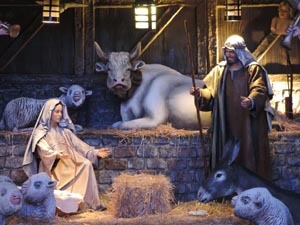 They were created so that no one group would feel left out of any of the fun and happiness of the season. I have several friends and clients that do not celebrate Christmas. Several of them celebrate Hanukkah and a few others have no religious ties. Out of respect and because I know there faith, I greet them with the greeting they prefer. This doesn’t bother me in the least. They also greet me with “Merry Christmas” and they don’t mind that either. It’s all out of mutual respect. Saying Happy Holidays is not removing Christ from Christmas, and it is also not an attack on Christmas as some of our media would have us believe. It is simply just another way to bring us together and show respect to others who may not worship in the same way that we do. If we want to keep Christ in Christmas we need to put his teaching back into all areas of our lives on a daily basis and not just during this time of the year. We can all share the “spirit” of Christ by being kind, respectful and understanding to everyone that we meet. When we do this we are giving witness that our Christian faith teaches us to treat everyone we meet with the same respect that we want them to shown to us! There is nothing like coming home after a trying day and seeing the smile of your best friend. It changes your attitude, and it puts life back into perspective. During break time at obedience school, two dogs were talking. One dog said to the other ..."The thing I hate about obedience school is you have to learn ALL this stuff that you will never use in the real world."